The OECD is calling on Canada to do more to address risks associated with high-priced housing markets in cities such as Toronto and Vancouver. A Paris-based economic think-tank is calling on Canada to do more to address risks associated with high-priced housing markets in cities such as Toronto and Vancouver. The Organization for Economic Co-operation and Development suggests that there should be further tightening of macro-prudential measures undertaken last year. Those measures included new standards for federally regulated lenders and mortgage insurers, among other things. 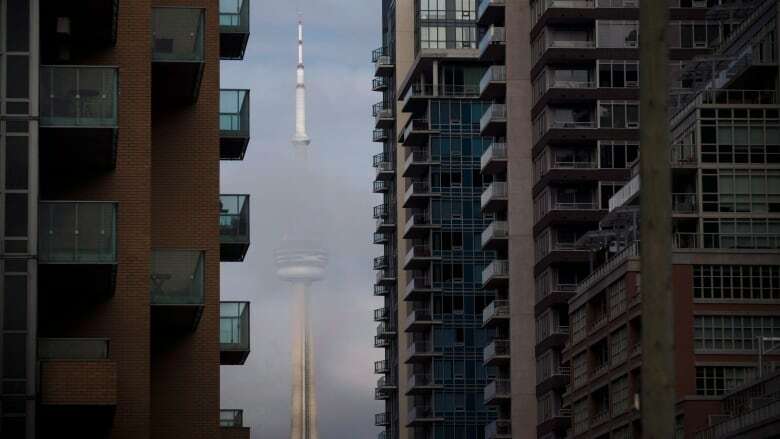 "Ontario has recently introduced legislation for a foreign buyers' transaction tax, similar to that introduced in Vancouver in August 2016, in conjunction with a broad expansion of rent control and rebates on development charges for new rental apartment buildings," wrote the OECD. "Some short-term reprieve in house price growth is likely, but speculation-fuelled price increases may resume and the expansion of rent control risks discouraging the supply of new rental housing. Low rental supply would hamper labour mobility — particularly for the poor and the young — which will make adjustment to globalization more costly and prolonged." For the broader economy, the OECD estimates Canada's gross domestic product will grow by 2.8 per cent this year, double last year's 1.4 per cent growth in GDP. The new estimate would put Canada's economic growth this year ahead of the United States, which the OECD estimates will have GDP growth of 2.1 per cent this year. The new OECD estimate is also above the Bank of Canada's most recent forecast of 2.6 per cent growth in 2017.